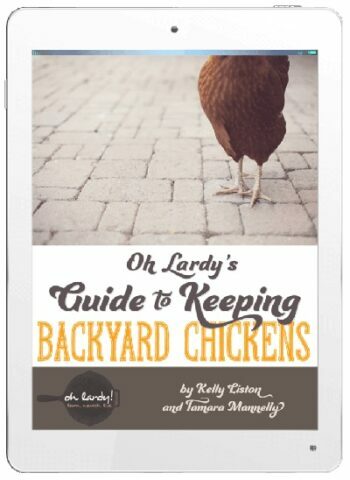 This is a great resource for integrating chickens into your yard and garden, so everybody is happy. Raising chickens doesn’t have to to be expensive, and like most other pets, you can choose whether to spend lots of money on your chickens, or raise them on a budget. The approximate total cost to raise 3 chickens can range from $100 to over $2000, depending on breed, choice of coop etc. Their feed can range from special chicken feed to kitchen scraps—ultimately, you get to decide how much you want to spend on them! This article gives many rough figures regarding the cost of raising chickens. The Chicken Health Handbook is a great reference for taking care of your flock. Chickens are hardy animals that generally take good care of themselves. Unless you raise a large number of chickens in a confined space, you should be able to deal with most chicken problems easily and effectively yourself. Because you will be constantly monitoring your chickens, you’ll notice if something is afoot—for example, if one of your chickens is rather dirty (chickens generally clean themselves), hasn’t laid in a while, or is getting henpecked by the other chickens—and you can immediately research the problem, take action, and solve it. Chickens however, do need to be protected from Day One. You will need to build (or buy) a chicken coop to keep your hens safe and sheltered, so it’s important to choose a coop that is the right size and shape for your flock. This tool can help you find the right DIY chicken coop building plans for your situation. Since there are many predators that prey on poultry, plain chicken wire and a simple coop might not be enough to protect them. You might also need strong hardware cloth or electrified netting to keep predators like snakes, owls, hawks, raccoons, foxes or coyotes away. If you are raising unclipped hens, large chickens or broilers that can easily fly over fencing, electrified netting might also be worth considering. Like other types of animals you might bring into your home, there are many different breeds of chicken. A lot of people first buy chickens based on their appearance, and what chicks look “cute” to them. While this is fine, know that different breeds will yield different results. Some breeds of chickens can be cranky, quiet, active, lazy, friendly or many other things, and you’ll want to consider personality as well as egg type, care needs and other characteristics when selecting your chickens. A good resource for determining which chicken breed might be for you is the Chicken Breeds List, which gives information on not only chicken breeds but also appropriate chicken care. Could I Get Some Eggs With That? Sure thing! Even though it feels like an eternity before your chickens begin to lay eggs, those fresh eggs are definitely worth the wait. An egg fresh from a healthy hen raised on a diverse diet is the healthiest type of egg you can eat. Once your hens are comfortable in their new home, they will generally start laying at around 20 weeks of age, and will usually keep laying for between five and seven years after they start. That being said, some hens will continue to lay eggs long after seven years as well, though you shouldn’t count on this. Ultimately, their egg production does slow down, and you will have to decide what to do with your flock when that time comes. It’s hard not to get attached to your chickens, even if you are raising them simply for their eggs. After all, they are your pets. In her article called “10 Things About Raising Chickens You Won’t Read in Books”, homesteading artist Meredith writes about how she broke all the rules of livestock within one month of getting chickens, and soon began talking about them as if they were her own children. As morbid as this may sound, before raising chickens, it is important to think about what your ultimate goal is, so that you can make an informed decision on what you want to do if they get sick or injured, or when the time comes that they are no longer laying eggs. This is one of the best primers for getting started. It’s helpful in planning out your brooder, your coop, and what to expect from chicks to chickens! Raising chickens does require a lot of preparation and research. For example, it is vital to first check your municipal regulations and/or homeowner association rules before you do anything else. Many areas ban roosters (No worries; hens will lay eggs without them! ), and limit the number of animals a household can keep. Some communities require signed agreements from neighbors, special permits, or an appearance before the zoning board, while other communities have ordinances that restrict the size and placement of your coop. Some areas have no restrictions at all. Once you’ve cleared the legal hurdles, you will then need to plan for a coop, and make sure you have adequate space for them to scratch and roam. You will also need to plan for their protection while they are out of the coop, and for how and what you will feed them. 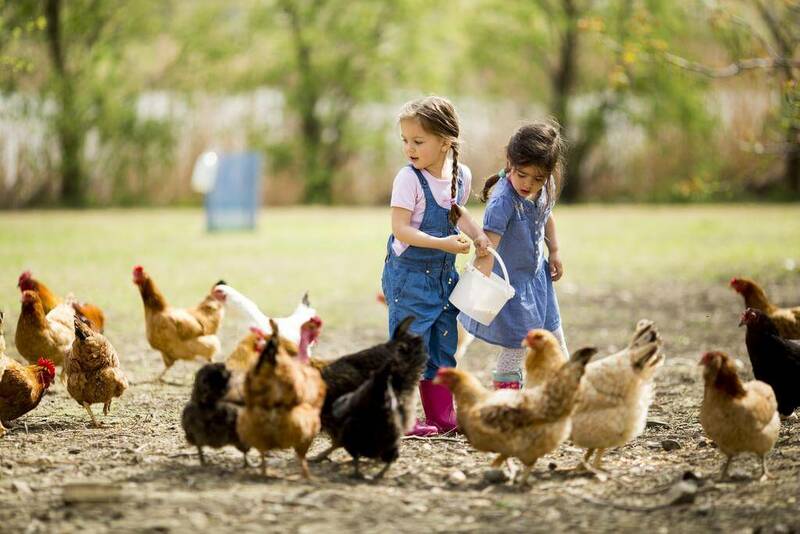 Fortunately, since raising chickens has grown in popularity among urban farmers, homesteaders and more, there is a vast plethora of resources out there that will help you based on what you hope to achieve. 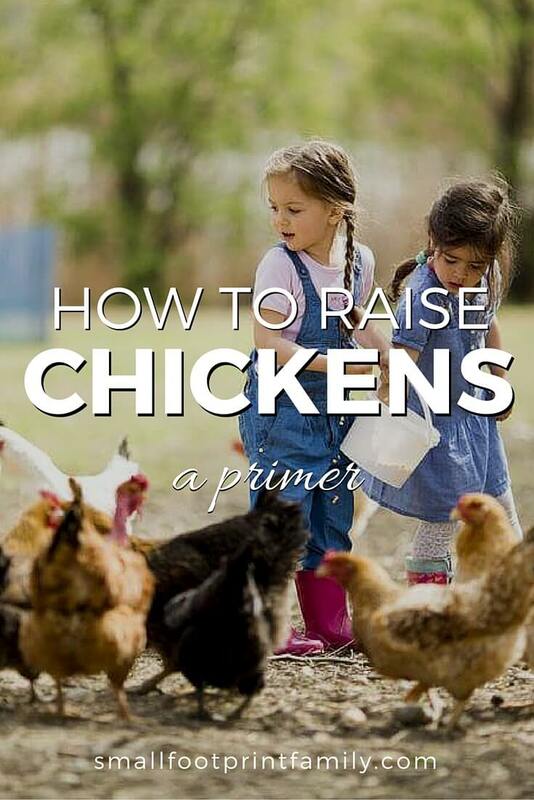 I hope that this article addresses some of the most common concerns when it comes to raising chickens, and gives you some of the references you need to get started, so that you get to experience the warm, fulfilling feeling that comes with taking on this amazing hobby! I sure wish we could have chickens! Our HOA forbids it. Great post on raising chickens! I’ve been fumbling my way through it for a couple of years now. I sure have enjoyed it though. At the beginning of the year, we had a fire in our coop and I lost all but one hen and 2 roos…learned a very hard lesson there! I’m pinning this to my Backyard Chickens board, I’m sure it will be helpful to anyone thinking about raising chickens! Looks like a great book! I hope to have chickens some day. I am dying to get some chickens of my own – thank you for this post about how to raise them! Thank you! It was a great article to share!